Annie Feidt has spent more than a decade as a producer, reporter and editor at Alaska Public Media. Her reporting has taken her to remote checkpoints on the Iditarod Trail, searching for polar bears on the Chukchi Sea ice, and on the Eklutna Glacier with scientists studying its retreat. Her stories have been heard nationally on NPR and Marketplace. 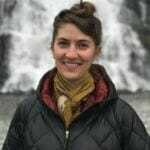 Jennifer Pemberton’s experience as an English teacher, environmental reporter and corporate communications manager converge in her role as Alaska’s Energy Desk managing editor based in Juneau. 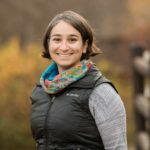 She comes to us from Utah Public Radio, where she hosted a monthly program about water issues and taught science communication classes at Utah State University. Elizabeth Jenkins calls both Tennessee and Alaska home. In 2013, she studied radio storytelling at the Salt Institute for Documentary Studies and interned at KFSK in Petersburg the following summer. She also spent a year in Juneau working as a reporter for KTOO. Elizabeth has produced stories for This American Life, Reveal, NPR, Here & Now and KUOW. When she’s not making media, she’s out on the trails in Southeast. Rashah McChesney is a photojournalist turned radio journalist who has been telling stories in Alaska since 2012. Before joining Alaska’s Energy Desk, she worked at Kenai’s Peninsula Clarion and the Juneau bureau of the Associated Press. 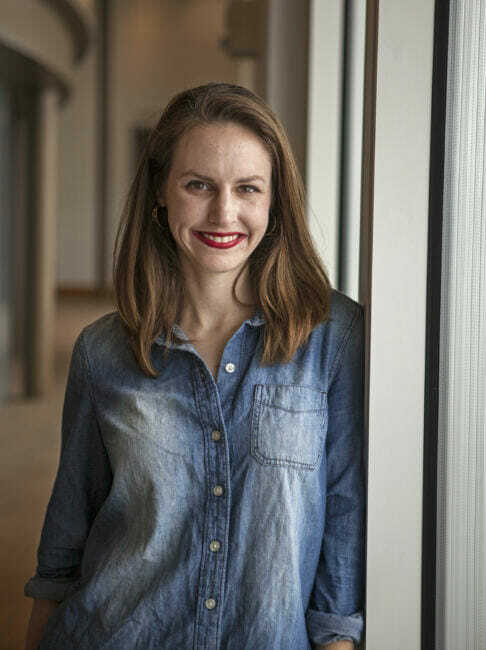 She is a graduate of Iowa State University’s Greenlee Journalism school and has worked in public television, newspapers, and now radio, all in the quest to become the Swiss Army knife of storytellers. As a high schooler in Portland, Maine, Zoë Sobel got her first taste of public radio at NPR’s easternmost station. From there, she moved to Boston where she studied at Wellesley College and worked at WBUR, covering sports for Only A Game and the trial of convicted Boston Marathon bomber Dzhokhar Tsarnaev. Elizabeth Harball comes to Alaska’s Energy Desk by way of Washington, D.C., where she reported for Environment & Energy Publishing’s ClimateWire, a job that gave her the opportunity to hear about climate change from coral reef scientists, lobbyists, wildland firefighters, congressmen, coal plant operators and coastal homeowners, among many others. Originally from Kalispell, Montana, Elizabeth is a graduate of Columbia University Graduate School of Journalism. Ravenna Koenig grew up in Washington State, and has spent most of the last decade on the East Coast dreaming of ways to get back West. She started her radio career as an undergraduate, interning at WNYC before getting a job as a producer for Weekend Edition at NPR in D.C. Her work there took her through a patchwork of cities and towns across America, covering everything from the 2016 election, to immigration policy, to policing, to pipelines. Now based in Fairbanks, she covers energy and environment issues for the Interior and the Arctic. Krysti Shallenberger reports on energy and climate change for Alaska’s Energy Desk in Bethel. She travels to Alaska by way of Washington D.C., where she was an editor at Utility Dive, a trade publication, and a reporting fellow at E&E News. Krysti also reported in Wyoming, Montana and Alabama. She holds a Master’s in journalism from the University of Montana, focusing on natural resource development and environmental issues. Alaska’s Energy Desk is a collaboration between KTOO-FM in Juneau, Alaska Public Media in Anchorage, KUCB in Unalaska, Fairbanks Daily News-Miner in Fairbanks, KBRW in Utqiaġvik and KYUK in Bethel. Each week we produce in-depth coverage of energy issues in Alaska that air on local stations, the Alaska Public Radio Network and on national news programs. The desk also maintains an active social media presence including regularly publishing engaging videos. From the state budget to personal energy use, resource development to Arctic life, we cover how energy issues impact Alaskan lives and landscapes. Why Energy and the Environment? The oil and gas industries have shaped and reshaped Alaska. Everything from the state budget to our environmental protections and our way of life are tied to energy production. Through level-headed journalism, we explore the ways these issues are connected while we simultaneously untangle legal battles, analyze policy decisions and highlight industry practices that affect our communities. Alaska’s Energy Desk is a Regional Journalism Collaboration, launched in 2016 with a supporting grant from the Corporation for Public Broadcasting. Additional foundation funding as well as underwriting and partner station support will ensure our longevity as a reporting team. 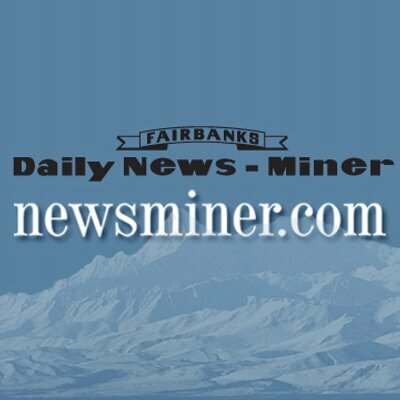 Several Alaska’s Energy Desk stories air each week on partner station airwaves and often are picked up by Alaska News Nightly and broadcast statewide. Alaska’s Energy Desk stories of national interest are heard on programs like Marketplace, Here & Now, All Things Considered and Morning Edition. Our videos are distributed through YouTube and partner station websites as well as statewide and national TV programs like PBS NewsHour.